IT Infrastructure Library™ (ITIL®) is the de facto best practice in IT service management. Our ITIL certification training can empower your organization through adoption of IT service management. Babbage Simmel offers a full range of courses, from basic awareness and ITIL implementation planning, including ITIL Foundation, which offers an overview of the service lifecycle and service capability modules, to the Expert level of ITIL certification. 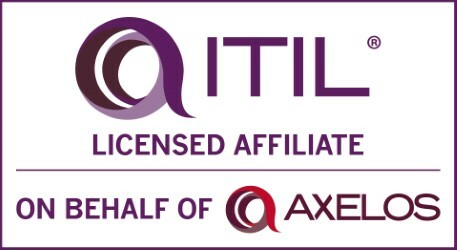 An ITIL® certification sets the best IT professionals apart from their peers. Those that are certified pave their way for a career in IT Service Management by understanding and following the best practices outline. All ITIL Intermediate courses are offered by Accredited Training Organization ITpreneurs and Licensed Affiliate Babbage Simmel. Prepare for ITIL Certification. This hands-on training program for IT Infrastructure Library (ITIL®) Foundation certification introduces you to the fundamentals of IT Service Management (ITSM) as described in ITIL® Version 2011. This course will help you prepare for the certification exam and acquire valuable insight from instructors who have actually managed IT operations and ITSM program. Learn the practical aspects of the ITIL® 2011 Service Lifecycle and processes associated with the Operational Support and Analysis of services and service delivery. Successful implementation of ITIL® Operational Support and Analysis best practices enables IT departments to reduce downtime and costs while improving customer satisfaction. The main process and function focus areas in this course include: Event Management, Incident Management, Request Management, Problem Management, and Access Management. Explore the management and control of the activities and techniques within Service Operation, but not the detail of each of the supporting processes. You will gain knowledge to plan, implement and optimize the Service Operation processes. This course immerses students in the practical aspects of the ITIL® Service Lifecycle and processes associated with the Release, Control and Validation of services and service delivery. The main focus of this course is on the operational-level process activities and supporting methods and approaches to executing these processes. The ITIL ® course covers the management-level concepts and core information of the supporting activities within service strategy, but not specific details about each of the supporting processes. This course covers the management and control of the activities and techniques within the Service Transition stage. Successful implementation of ITIL® Service Transition best practices enables IT departments to develop capabilities for transitioning new and changed services into operations, ensuring that requirements are effectively realized while controlling the risks of failure and disruption. ITIL® Intermediate Capability Stream, Your next step towards the ITIL® Expert Certificate in IT Service Management. Learn to apply PPO practices during the service management lifecycle and specifically in the following key processes: capacity management, availability management, IT service continuity management (ITSCM), information security management, and demand management. Learn to identify the ITIL® lifecycle and the fundamental processes involved in Service Design and how to integrate them into their organization’s IT service model. Learn the principles, processes methods and techniques of the ITIL® Continual Service Improvement (CSI) process in this Intermediate ITIL Certification course. The final course for your ITIL Expert Certification. Learn the key concepts of the Service Lifecycle, communication & stakeholder management, integrating service management, governance and organizational challenges, measuring, implementing and improving Service Management.